Today is Valentine’s Day and so with the Olympics in full force. 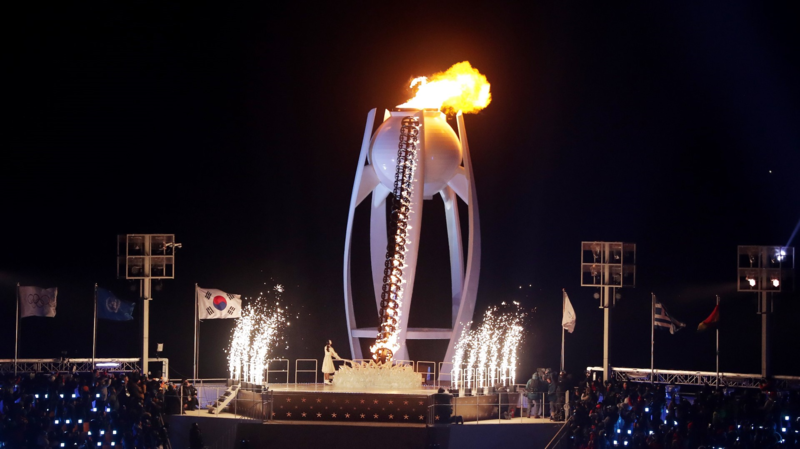 So to bring together Olympic Sports and Love together, I’ve decided to use this space to share the stories of 2 Olympic couples and the stories that brought them together, and brought them to PyeongChang for the Olympics. You will also see how woven into their stories, the amazing parts and the hard parts, is their faith in God and the role He plays in their lives. 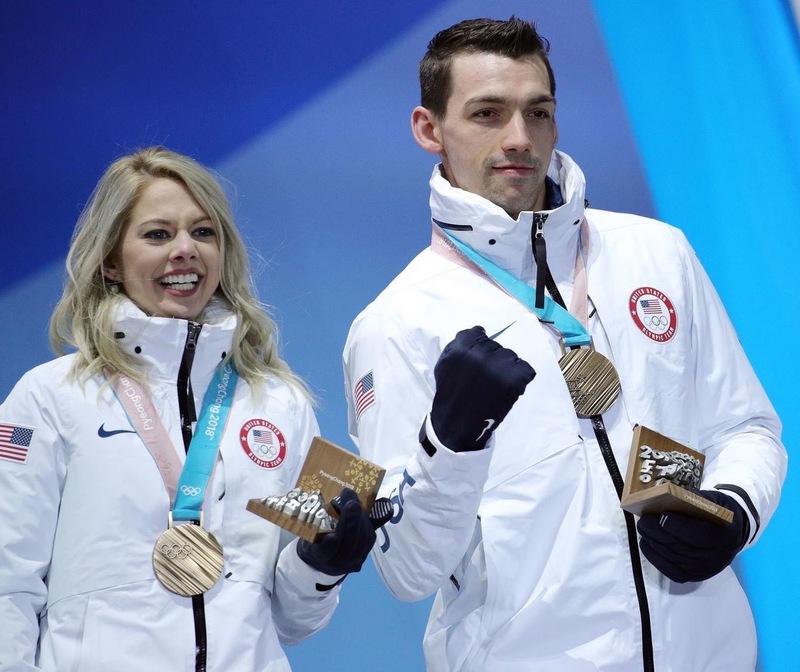 Alexa Scimeca Knierim and Chris Kneirim with their Bronze medals won in the Team event last week. Chris and Alexa have one more skate in their 2018 Olympic experience. Just being at the Olympics is a victory for them. They have one more skate to go tonight. It is worth cheering them on for persisting through hard times and leaning on God for strength. I am challenged by her words. We try to keep control and learn often that we really don’t have any control over what comes our way in this life. Let’s follow this example to give up our idea of control and find our strength in God. 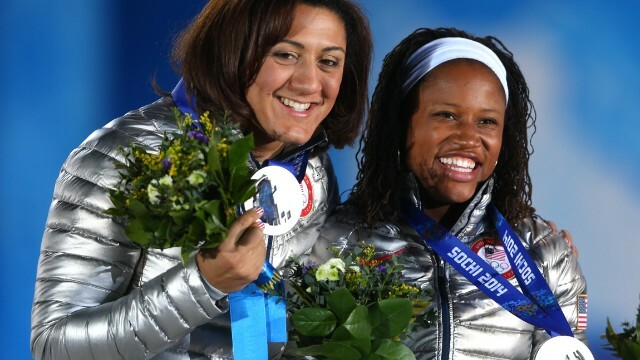 Elena Myers (front) is competing in her 3rd Winter Olympics. 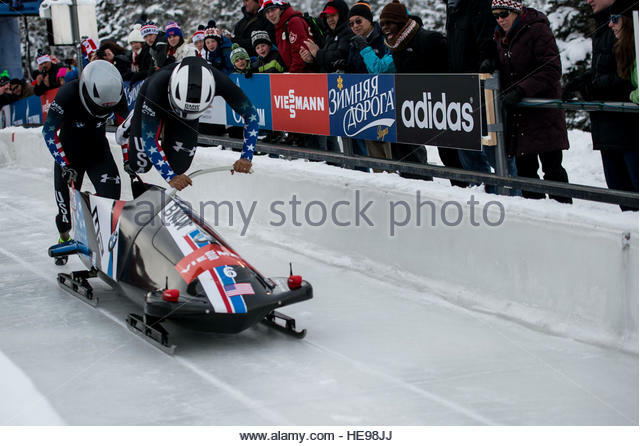 Nic Taylor and Elena Meyers-Taylor are bobsledders. Nic is an alternate on the Men’s team and will step in in case of injury. Elena is competing in her 3rd Olympics. She is a 2 time medal winner – bronze in Vancouver in 2010 and Silver in Sochi 4 years ago. If the trend continues, she will find herself at the top of the podium this time around. You can read this article from CBN that shares the story of how they came to be husband and wife and how they work together to better each other. In a recent interviewed by Belief.net, Elena shared about how her relationship with God plays into her athletic career and her personal relationships. She answers “The Lord calls us to love everybody. Every day it’s a challenge. Within this sport, I’m called to love everybody. That means that every single German or Canadian that I want to beat, I still have to love. That means competing the way God wants me to compete. That means doing things that might not necessarily be seen as giving me a competitive advantage but instead doing what God would want me to do. As Christians, we’re asked to give. In my sport, if someone needs equipment or help with something, regardless of who they are as a competitor, I’m called to help them for a higher purpose. So it definitely affects everything I do… I know that God is working through me within this sport. I know He’s put me here for a purpose and it’s not just to win medals. Winning is great and hopefully it gives me a platform to spread His love and spread His Word, but at the end of the day, I’m called to do what He wants me to do. 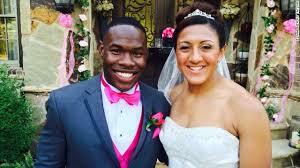 Nic Taylor at the Olympics on the US Men’s bobsled team and Elena Meyers-Taylor were married in April 2014. Again, I find her words challenging. We tend to be so self-serving. We do whatever it takes to look out for ourselves and often it comes at the expense of others. Elena’s words challenge me again to think of others first, to set aside temptations to look after my own needs regardless of what it may mean to others. I pray that God will give me eyes to see the needs of those around me and how He can use me to help. I pray that I will willingly do whatever He asks me to do and spread his love and word in the world around me.